BEIJING (Sputnik) - China has finished building the world's first Arctic liquefied natural gas (LNG) tanker capable of operating at temperatures below minus 50 degrees Celsius (minus 58 degrees Fahrenheit), the China Daily newspaper reported. The Arc7 ice class vessel with a payload of 44,500 tonnes was named Boris Sokolov and will soon be handed over to its Greek owner, according to China Daily. The vessel is able to break ice layers 1.8m (6ft) thick, the newspaper reported. — Aker Arctic (@AkerArctic) 21 июля 2018 г. In the past, tankers of a similar type could only transport LNG to the Arctic in summer. The unique features of the Boris Sokolov will allow it to continue transportation in winter. Earlier, in November, Novatek Gas and Power Asia Pte. 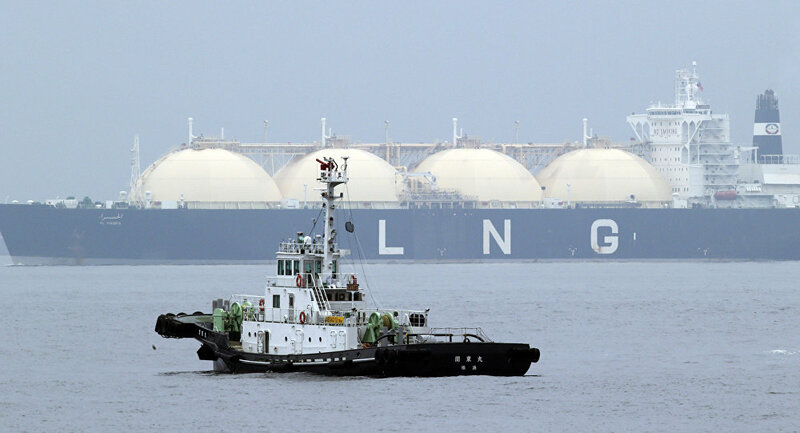 Ltd., a subsidiary of the Russian gas producer Novatek, made the first delivery of liquefied natural gas (LNG) from the Yamal LNG project to the Chinese company China National Offshore Oil Corporation (CNOOC). China became the world's second-biggest importer of gas in 2017 after the country introduced a program to switch households from using coal for heating to natural gas.